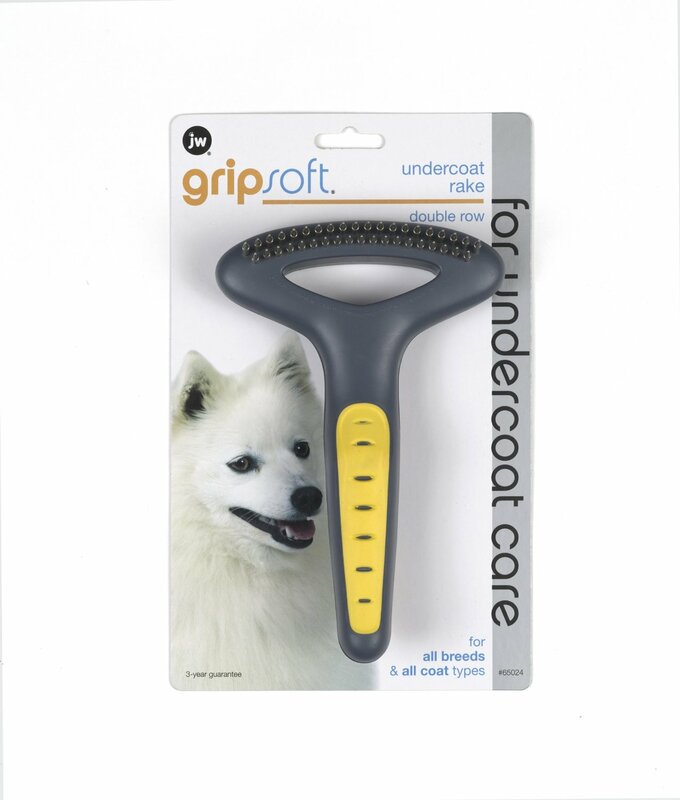 The JW Gripsoft Double Row Undercoated Rake has two rows of round tipped, stainless steel teeth which lift out dead and shedding hair from the undercoat while leaving the outer coat undisturbed. They help to loosen lightly matted parts of the coat. Suitable for use on all breeds and coat types. Below are some recent questions we've received regarding JW Gripsoft Double Row Undercoated Rake, including answers from our team. How wide is this brush? I need it to be appropriate for use on miniature dachshunds. The rake is approximately 10cm wide and is suitable for all breeds and coat types.